A past simple exercise.Students should provide the correct form of the verbs in brackets.They should only use the affirmative form of the given verbs.On the other side teachers could employ their imagination to use this exercise and practise other forms. The above downloadable handout is a great resource for elementary school students at Elementary (A1) level. 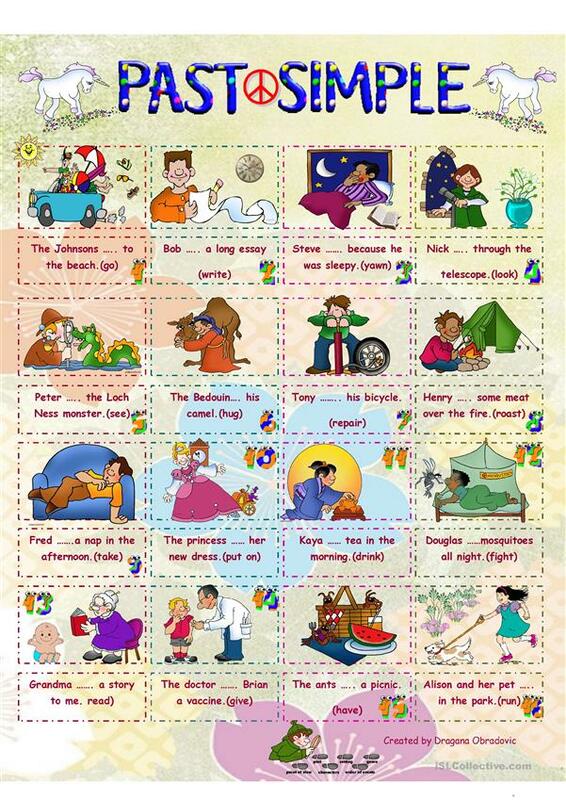 It is aimed at consolidating Past simple tense in English, and can be used for enhancing your learners' Speaking and Writing skills. It is focused on the vocabulary topic of Actions.